Uncover the growing effects of instant gratification on digital marketing and learn how to harness mobile video in your new marketing strategies. Instant gratification isn’t a new concept, but it’s arguably more relevant today than ever before. We’ve all heard the theory that modern-day consumers have an attention span shorter than that of a goldfish. When you consider the overabundance of digital content available to us at any given moment, it almost seems believable. Put that content on a device constantly within reach, and it makes perfect sense. These days our lives are all about direct response, and using technology to get what we want as quickly as humanly possible. Our smartphones have become a necessity, always on and standing by. This has altered the way we interact with media. The convenience of having a connected device on hand impacts everything from how we communicate with customer service departments to how we shop. To market in this era of mobile e-commerce and social media, brands have to ask some tough questions. Why has consumer behavior changed? What are digital marketers doing to meet their new preferences and needs? What is the role of video in this new landscape? And above all, what can marketers do to keep pace? Consumers have grown accustomed to the on-demand economy, where they can gain immediate access to whatever they need. Digital content is only a click away through platforms like Netflix and Hulu. The same goes for car services like Uber and Lyft, and grocery delivery services through companies like InstaCart. No matter what they want or when, convenience and speed reign supreme. No wonder video has become a go-to marketing medium for brands. Easily accessible and easily digested, it’s highly desirable to users. Customers seek it out on their mobile devices more than anywhere else. Last year, three quarters of all digital video viewing activity occured on a mobile device. In response, video viewing platforms and social networks are developing new tools that satisfy consumers’ on-demand desires while also serving the needs of brands. Over the last two years, Facebook has launched multiple video features that include an improved vertical video viewing experience and interactive video. YouTube recently added a new feature that allows mobile users to binge on videos more easily by swiping left or right on their screen. This could boost watch time, which in turn stands to increase the number of available ad impressions. It may even have a positive impact on video engagement. In other words, consumers’ natural urge to connect with brands via mobile and marketers’ need to engage them can, in fact, create a symbiotic relationship. According to Google, the key to a successful direct response video campaign is “delivering thoughtful creative to relevant audiences.” As an example, Google points to a campaign for online luxury fashion retailer Yoox Net-A-Porter. The company included 25-second pre-roll video ads that allowed users to shop for exclusive items within the video itself. To enhance the desire for instant gratification, the user was given limited time to make their purchase. If they didn’t hit the “Shop Now” button by the time the video ended, they lost their chance. Google reports that the concept resulted in thousands of conversions, sales in the six-figures, and a view-through rate of 37%, which it notes is 23% higher than average for e-commerce video ads. Strong ad creative is crucial to enticing online shoppers, especially when the goal is to generate sales on the spot. Google recommends brands employ design elements that promote a sense of urgency; Yoox Net-A-Porter used a countdown clock to light a fire under potential customers. Feature what Google refers to as “quick cuts and bursts of action” to incite a similarly quick response. Keep the call to action simple, along with the action you want consumers to take. Use A/B testing and optimization to continually improve your ad’s performance. Limit your video ad to 15 seconds or fewer. Facebook recommends this last tip too, emphasizing the value of short video creative that “not only captures attention quickly, but also matches the frequent and active consumption experience of feed.” Brands like Budweiser and Air Wic have taken this approach, creating short ads that get their message across quickly. Keeping creative short means it’s more likely that viewers will watch an ad in its entirety. 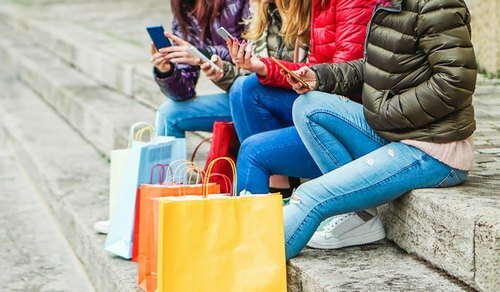 Combine strategies like these with Instagram’s “Shop” button, which allows users to shop instantly without leaving the app. You can make the most of both their eagerness for a direct response experience and the advantages of the mobile video format. While the “Shop” button was previously only available for photo-based posts, Instagram is in the process of rolling out shoppable videos. Consumers are expected to be able to view a list of items featured in a brand’s video, and save the ones they like to a shoppable collection inside the app. Consumers want mobile video content, and they want it now. Marketers able to create compelling videos that also provide instant access to their products are sure to be rewarded. an excellent balance of high or low or odd or perhaps and closing digits.